I have experienced both post natal depression & PTSD in my life time and I really suffered at the hands of my own ‘thoughts’. Mental illness has impacted my family in so many ways and we found the answers and everything is different now. Betty my Mum, a spiritual healer, kind, compassionate & giving lady is one of my greatest spiritual teachers, Betty had a life long battle with depression. 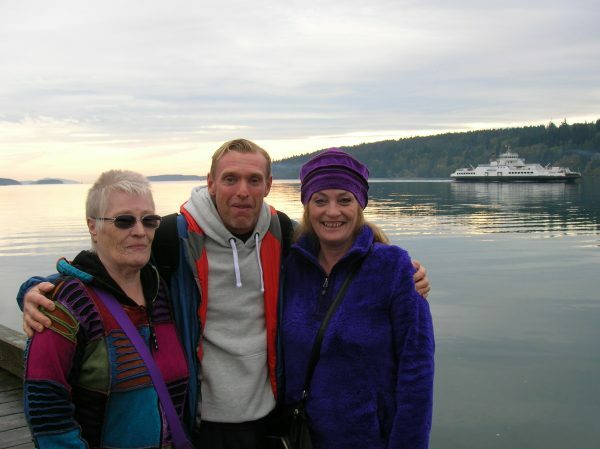 insights and realisations of how the principles work, Betty is back in life and free from depression & medication and came to Salt Spring Island to attend the Three Principles School. The Three Principles has given so much to me, I got my Mum back and it continues to give more to my family, clients & my community, life has changed in so many different ways for all of us, it’s incredible and humbling. A simple understanding can change everything, you are invited to come and have an experience with us, I am proud and honoured that My Mum Betty is going to sitting beside me and sharing this gift with you!